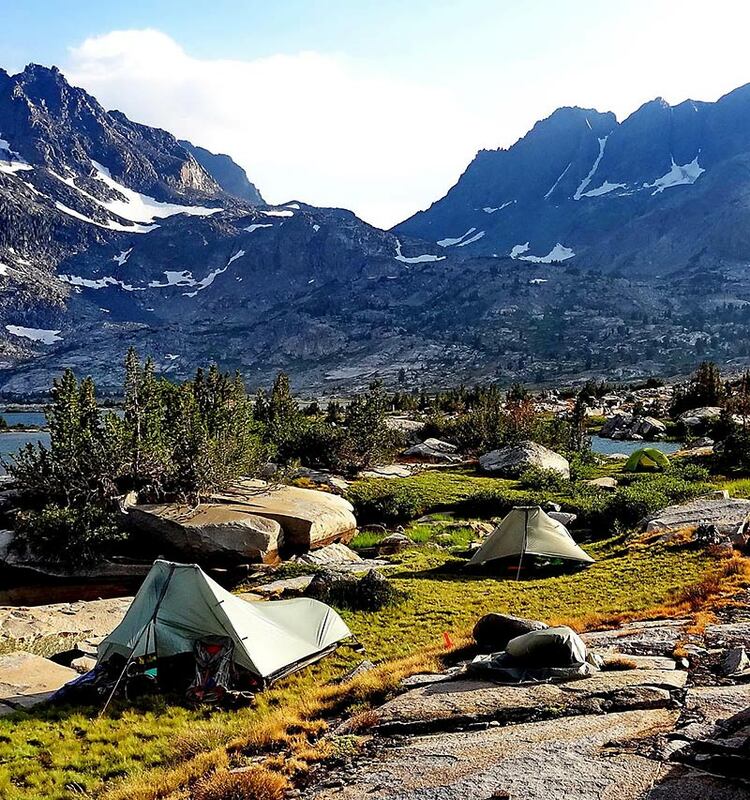 "LEAVE NO TRACE THIS SUMMER AS YOU EXPLORE THE OUTDOORS"
Pristine campsite at Thousand Island Lake along the Pacific Crest Trail in California. 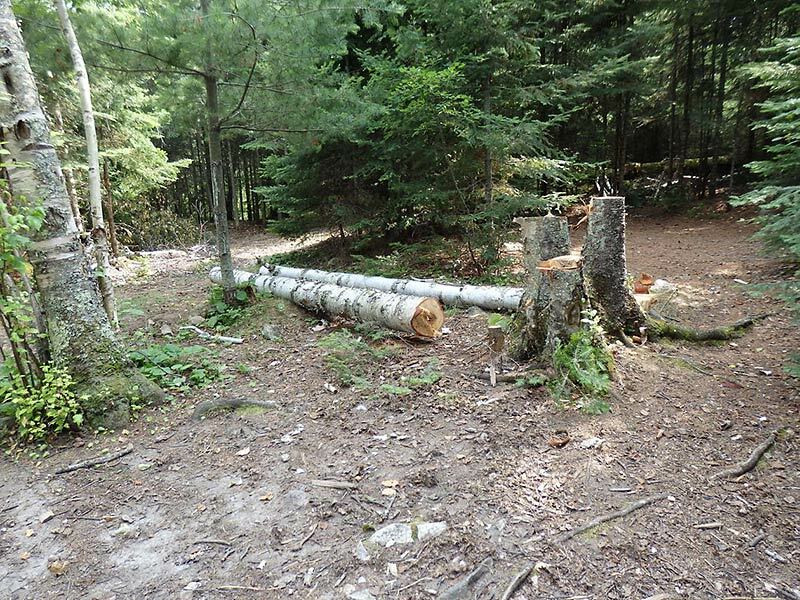 Trees cut down for firewood in the Boundary Waters Canoe Area Wilderness in northern Minnesota. 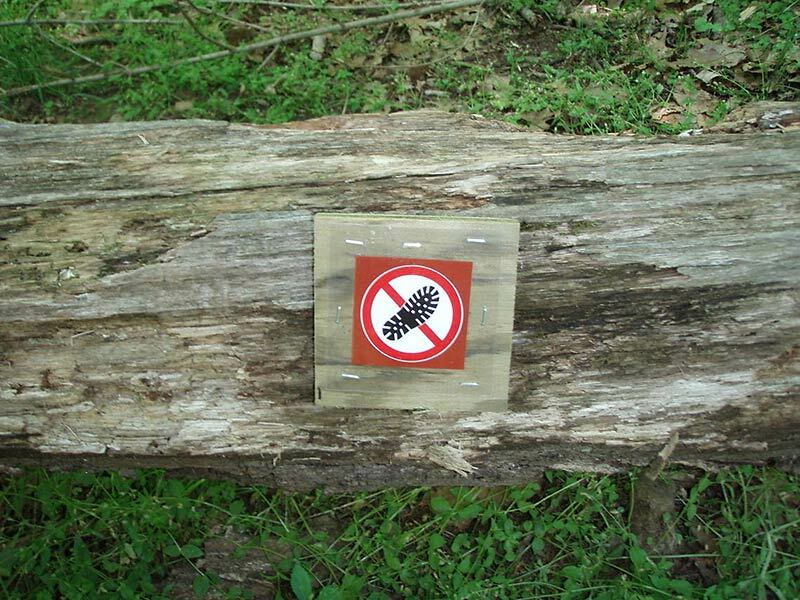 To address this issue, USGS scientists are collaborating with university social scientists to investigate sustainable trail design guidance and actions to deter off-trail hiking. 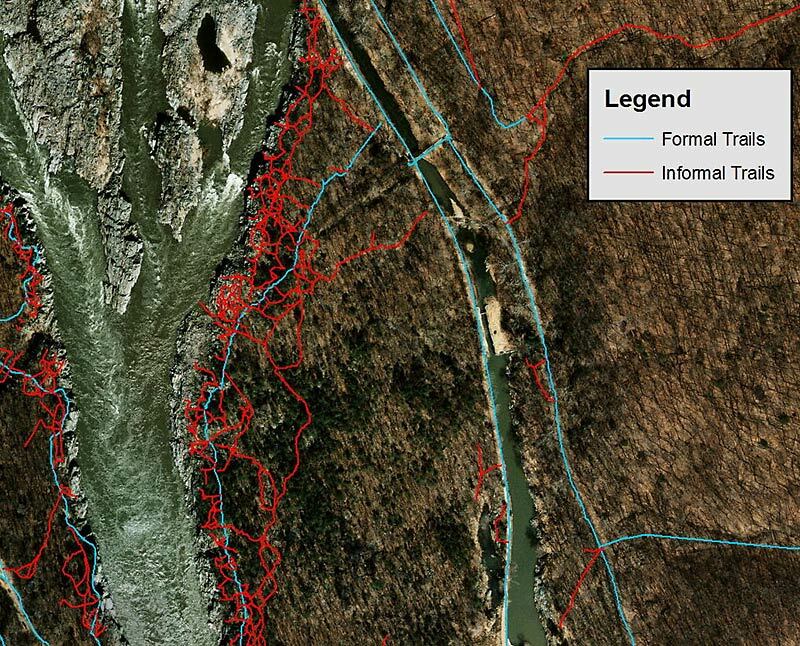 As an example, a study was conducted to protect large numbers of rare plants near the Billy Goat Trail in Washington, D.C. In the study, scientists tested various communication methods at formal trailheads and at informal trails created by visitors -- including “don’t walk here” signs and placement of organic materials, such as leaves -- to hide and discourage use of the informal trails. 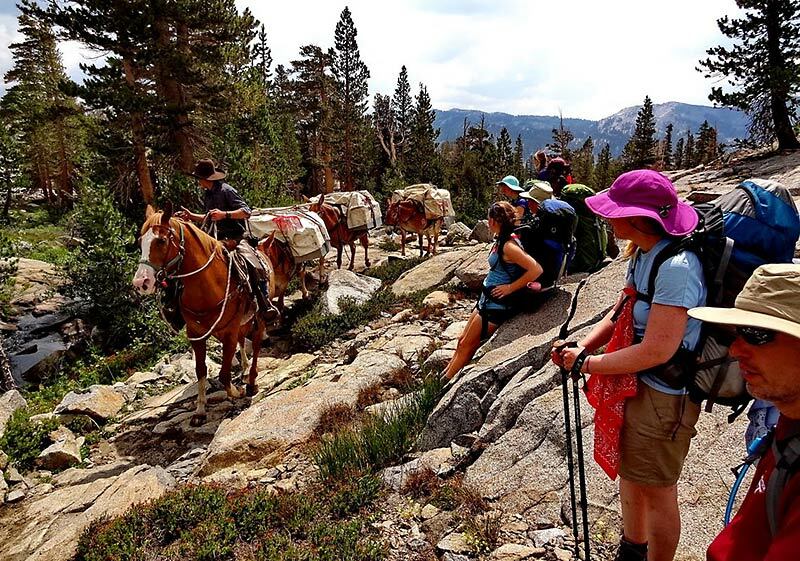 USGS research is investigating factors that affect the sustainability of trails to support heavy hiking and horse traffic like in this scene taken along the Pacific Crest Trail in Yosemite National Park in California. 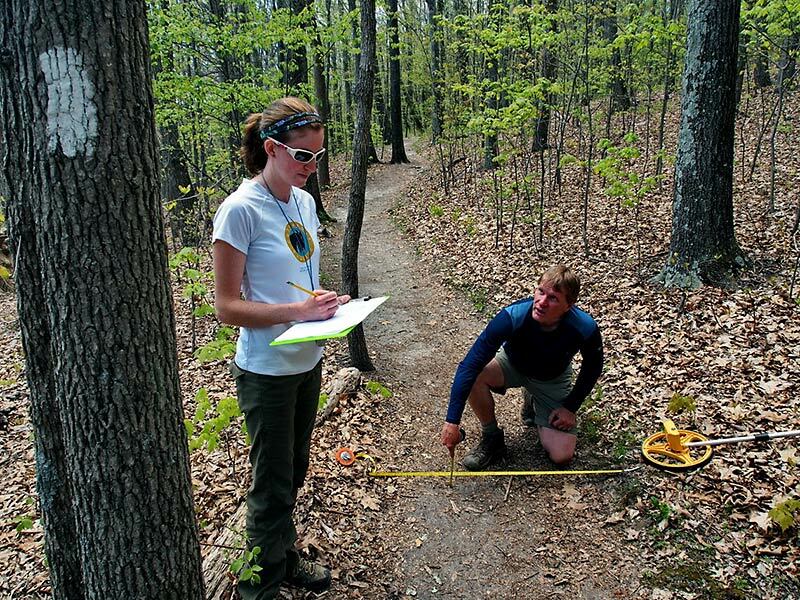 USGS scientist Jeffrey Marion and Virginia Tech student Holly Eagleston measuring conditions at the Appalachian Trail in Virginia to evaluate trail impacts and sustainability guidance.